Warmest wishes for a gentle and joyful Spring. We have already completed the first quarter of our celebratory year and it has started with a rich combination of Giving Women regular workshops, informal lunches, project selection meetings and 10th anniversary events. We are looking forward to an exciting selection of Spring activities for our members and friends. As we go through a milestone year it is the perfect time to really delve deep into the values which are essential to Giving Women. As an organization, we believe in the power of working together. This can be seen at the level of our governance, where the Executive Committee runs collaboratively. There is no hierarchy, everyone has a voice. If one member is overextended professionally or personally, the other committee members pick up the slack, and we all support the work of our operations and membership managers. The very purpose of Giving Women is to bring together women of all ages, all professional backgrounds, and all cultures to combine their resources to help projects on the ground that are striving to improve the lives of vulnerable girls and women. We truly believe that together the power of each one of us is amplified. We also recognize that working together we learn from each other and each one of us is further enriched to continue our philanthropic work outside of Giving Women, in an effective, professional and efficient way. This collaborative approach bleeds into the richness of our workshops where often members of the Giving Women community run professional workshops for their fellow members or else other local associations and NGOs offer their expertise and knowledge while they get visibility within our community. 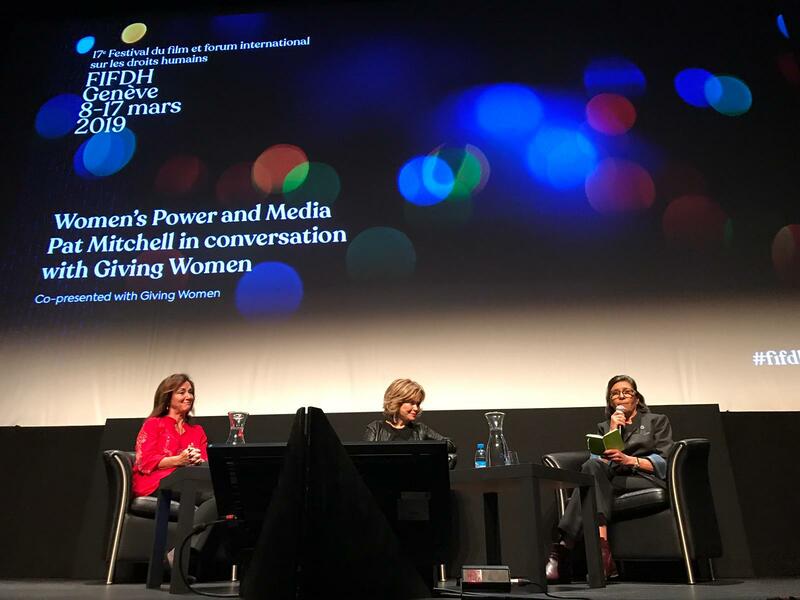 As Giving Women becomes an active player in the Philanthropic community of Geneva other like-minded organisations are reaching out to us and we are reaching to them to combine our resources for greater impact. Recently in the context of our Giving Women 10th anniversary celebrations, we have partnered with other organisations. Both times this has been a very positive experience. In February we partnered with Fashion Revolution to keep up the momentum and honour the commitment made at our October conference to build up the awareness and continue the call to action for an ethical fashion industry. 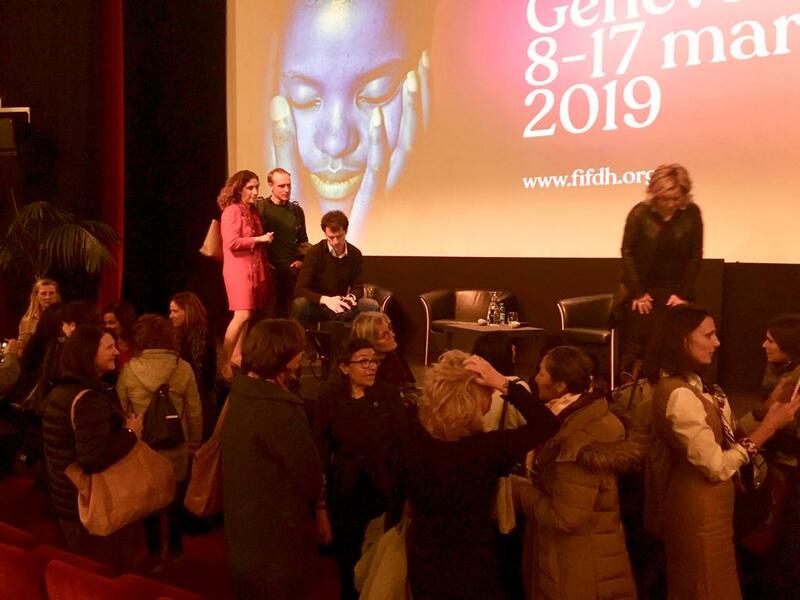 Several of the attendees responded to the call for action and volunteered to establish a Fashion Revolution chapter in Geneva. Following on to this we are working with several ethical brands to mark the Fashion Revolution week, during which ethical brands such as Tallis and SEP Jordanare organising a series of happenings as well as the events of the Fashion Revolution organization. 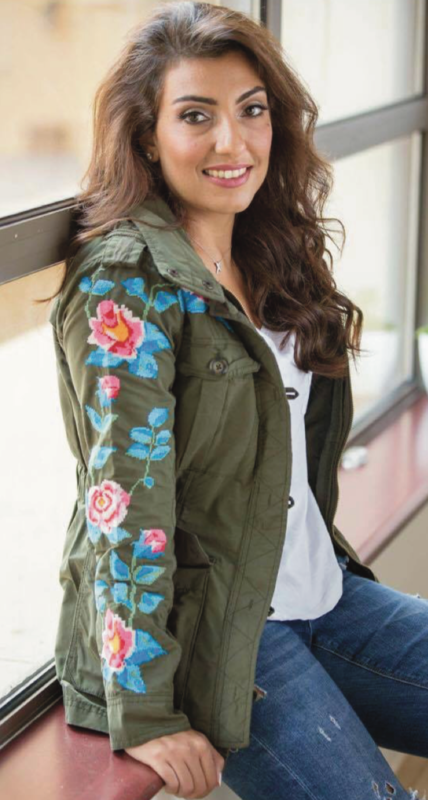 Giving Women is partnering with SEPJordan an old friend of Giving Women, which is organizing an upcycling event. 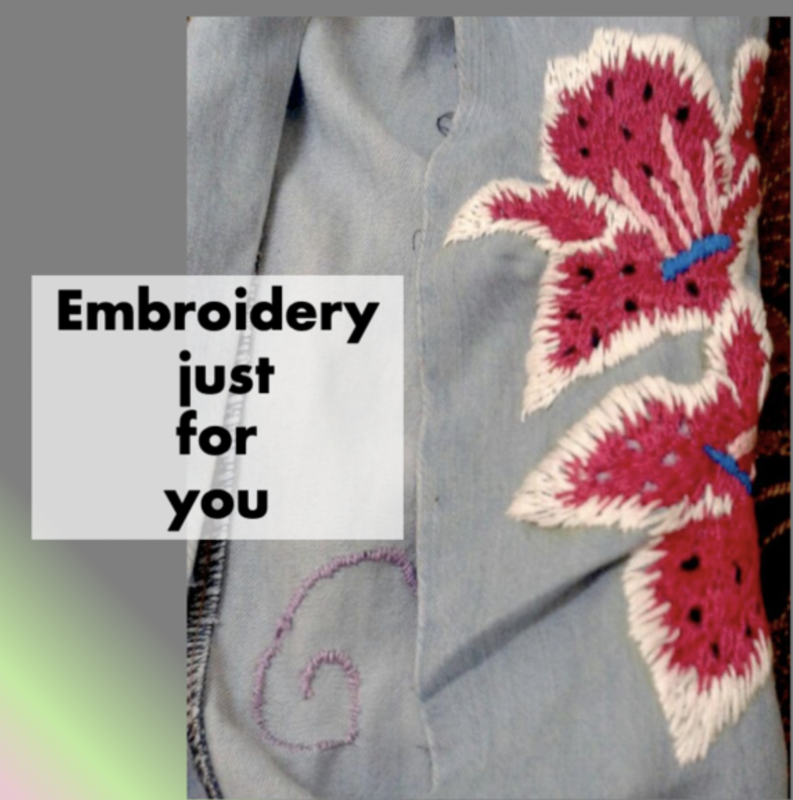 Between 22nd April and the 5th May, SEP invites you to bring the clothes that you love and want to love more, are bored of or clothes that have sat in your cupboards unworn and unloved and SEP artists in Jordan will embroider them a new lease of life. We will be emailing you detailed information on all these partnership events. In March we partnered with the Festival du film et forum de Droits Humains. Giving Women moderated a conversation with the media guru Pat Mitchell and Meagan Fallone, CEO of Barefoot College and long-time Giving Women member. For Giving Women this was an amazing platform to make known our work to a different but extremely engaged public. The event was extremely well attended. For those who missed it, you can still watch it on the Giving Women facebook pagewhere it was streamed. We were also invited to participate in a new initiative of FIFDH to bring NGOs and filmmakers together to amplify the impact of their films. On the 4th April, we partnered with B8 of Hope to screen a documentary film “Les Guerrières de la Paix”, which tells the story of courageous and determined Israeli and Palestinian women working together for Peace. 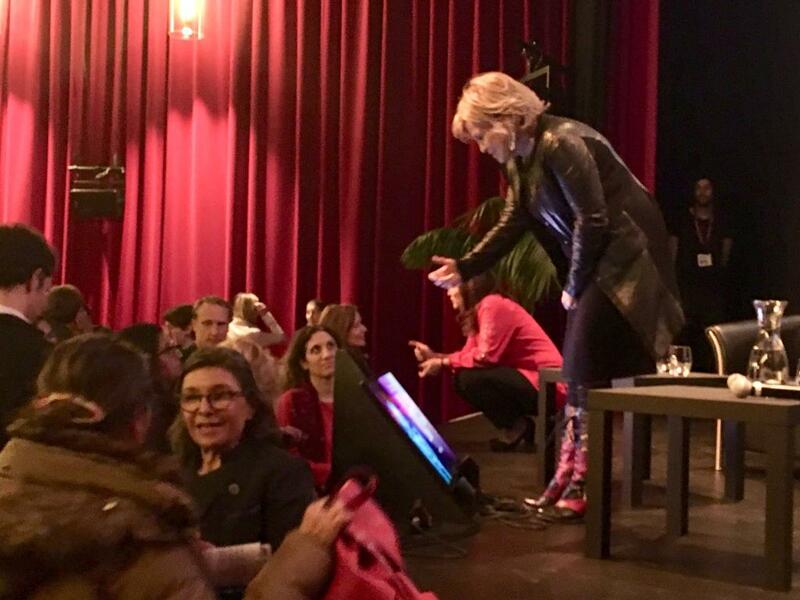 The event brought together 30 women members and non-members and following which a very engaged discussion took place led by Yara, a young Palestinian woman whose friendship with a young Israeli girl was one of the film’s stories. Finally, for our May panel discussion on “Women and Climate Change,” we are partnering with International Union for Climate and Nature, IUCN. Their expertise and access to speakers are helping us to create an amazing event and again will open the activities of Giving Women to a larger public. As we move forward, to the next 10 years of GW activity, I believe that this spirit of collaboration will lead to a world where egos are left at the door and we all work together for a better and fairer world for all. I would like to thank the members who have contributed with their Giving Women stories for our blog. I hope you are enjoying them and look forward to hearing from more of you. Please send your entries with a photograph. We are also including a section where the members of the Giving Women Executive Committee and team will contribute.